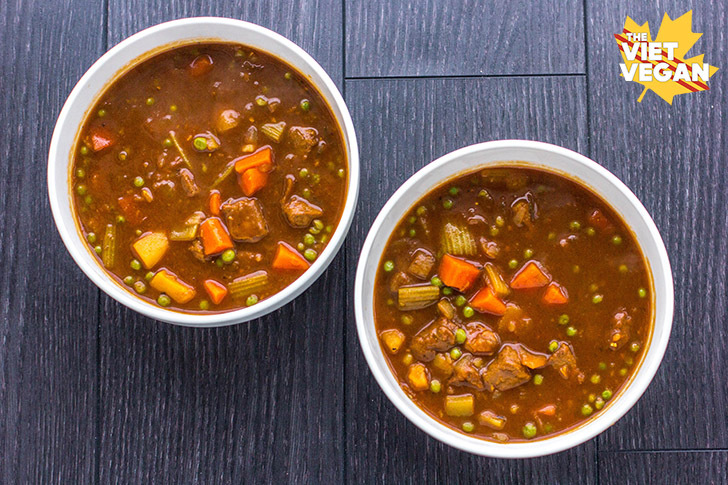 Vegan Beef Stew—the perfect food for nostalgia. This past weekend was my high school reunion. No it hasn’t been 10 years since I graduated, but my school was getting torn down because it’s literally older than Canada, and it was on it’s last legs structure-wise. I’m pretty bummed that my high school is getting turned into condos (not confirmed, but I mean, let’s be real, that’s what it’s going to be) because my high school was so great. It really planted those seeds for my future: where I learned about photography, languages, and music. 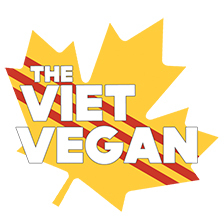 If you’ve been on TVV before, you’ll have probably read a post about this already. But one of the weirdest things about going back to your high school nearly 10 years after you left is finding yourself falling back into your personality from high school. I was a fairly social person in school—I wasn’t popular—but I was in pretty much every extra-curricular so I knew most of the people in my school. Plus I was on the morning announcements team, so my voice was heralded over the PA system for 3 out of the 4 years I was there. I found myself feeling uncomfortable when my friends weren’t around—so I flitted from group to group so my awkward presence wasn’t too much for any one particular group. I felt much more comfortable chatting with old teachers and helping out the current high school students in the Classics Club than I did catching up with old friends. And I finally understand why people hate reunions. Ten years is really not that much time after high school. Not in my current generation anyway. Most bachelor’s programs take 4-5 years to be completed, then many people go on to do their Master’s. That’s approximately 7 years of time after high school—not to mention some people take time in between to save up because school is expensive. Say two years of time between undergrad and graduate studies, and we’re sitting at 9 years. And one year out of school is often not adequate time for people to establish themselves in any sort of job close to their field. But it’s so easy to hold yourself up to certain expectations of where you’ll be in life 5, 10, 20 years after high school. Jobs, marriage, cars, houses, kids… All these “milestones” that people hit at socially acceptable times in our lives seem to dictate how successful someone is. We constantly have to swim against the current of expectations, especially in the Age of Information—where we have so much technology that is constantly changing the world—and the jobs, market, and the way people live life. I haven’t handled cash in over 2 months, most of the work I do I can do from home, and I live with my partner and we’re not married. Everything is more expensive, people can’t afford to buy houses or cars anymore, and the majority of people my age still live at home because they can’t afford to move out. Employers expect you to have job experience but you can’t get job experience until someone hires you, or the only experience you can get is working for free. The world is changing, yet the expectations still remain the same. I count my lucky stars that I’m anywhere close to where I am today. Somehow I came back to high school feeling okay with where I am in life 8 years after graduating. But I didn’t judge other people for where they were because it’s bloody hard in the real world. Sometimes I miss the juvenile days of high school drama and MSN. Anyway, speaking of nostalgia—Eddie was craving beef stew at some point, and I didn’t want him seeking out Tim Horton’s Beef stew or some canned petrified stew, so I took it upon myself to recreate it but vegan. 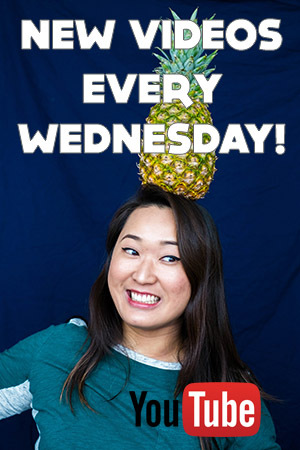 I played around with it a lot and it’s omnivore approved! I had some friends over to try it and they were pretty impressed that I made vegan beef stew that was hearty and satisfying. In a large pot over medium heat, sauté an onion in oil until translucent, about 3-4 minutes. Add garlic and cook, stirring until fragrant (about 1-2 minutes). Add tomato paste, dried rosemary, sage, and thyme. Stir briefly. Add dark mushroom soy sauce, balsamic vinegar, and white vinegar, and mix to thin out the tomato paste. Stir in the flour to make a roux. The flour should absorb the moisture and clump up slightly. Mix until all flour is incorporated and you are able to make a thick slurry. If it's taking too long, just add a little bit of the water/vegetable broth and stir until all the lumps are worked out (about a minute or so), then add the remainder of the water + mushroom broth powder OR vegetable broth. Gently add in the chopped carrots, diced potatoes, and chopped celery. Stir to coat, then cover and bring to a boil. Once boiling, lower to a medium low heat. Give it one more stir, and then allow to simmer, covered for 30 minutes (stirring occasionally). Cook uncovered for 20 minutes to let some of the water evaporate if you want it thicker. In the last 10 minutes of cooking, add the frozen peas and stir into the stew. Meanwhile, sauté the vegan beefless tips. Once cooked according to the package, add to the stew. If you're using reconstituted soy/tvp chunks, I imagine you can incorporate the chunks after the 30 minutes of the covered simmering. I haven't tried it, but it seems like it'd be a good alternative from the Gardein product. Turn off the heat, and serve! Haha I feel like so many other bloggers are shy people as well. Words and photos are how our personalities shine! LOVED this recipe! It came out perfectly, and I actually like it better than actual beef stews I used to make. The vinegars and soy and roux are the key, I think. I also used a little vegan mushroom gravy in lieu of the mushroom powder since I didn't have that. I will keep my eye out for it. My omnivore husband loved it as well, so, big bonus there! (It was also my first time using that particular Gardein beefless strips, and they were also delicious, but your recipe is perfect on its own as well.) Thank you, again! ? This stew is DA BOMB! I've made it twice already and everyone that has tried it has loved it!! Made this tonight for the second time. The first time, my husband and I both liked it, but there was a strange flavor coming through that neither of us was in favor of. We both sniffed all the bottles of spices I put in, and couldn't figure it out. Made another new recipe days later, and there was the same strange flavor. Compared with your recipe, and the only common factor was the balsamic vinegar. I had purchased a different kind of balsamic, made in Italy, because the store I was at was out of my normal brand, and I'm now figuring out, we don't care for. Made your stew tonight, without the balsamic on hand, and it was delicious! Added the same dumplings on top that I used before I became vegan, and honestly, it was better than any stew I've ever made! Thank you sooo much for this amazing recipe! It's hard to believe it's vegan! I would love for you to make the Vietnamese Bo kho beef stew! I need this in my life so much but without the guilt. This looks great! How much of the Gardein beefless tips did you use? Thanks! Would I be able to freeze leftovers? 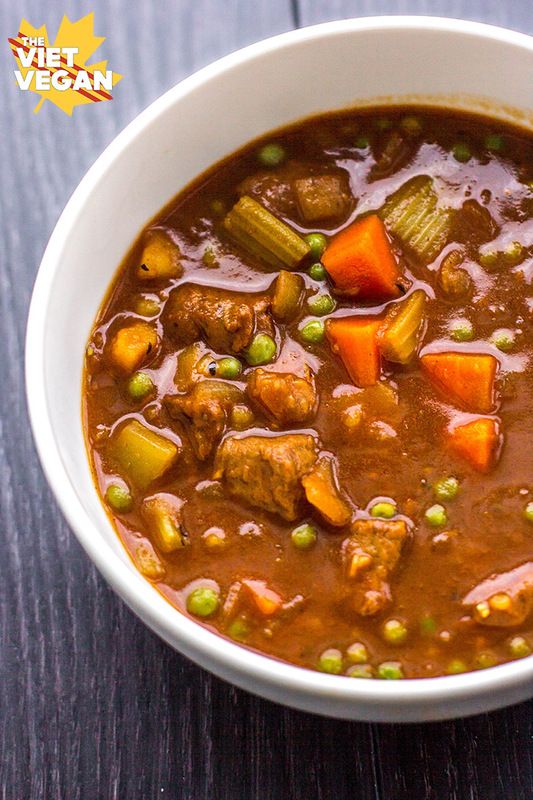 For those who want to replicate more of a traditional “beef” stew flavor, use a tbsp of vegan Worcestershire sauce, instead of balsamic vinegar. This seemed to work for me when I tried it.The stew was delicious and hearty and very close to what I remember beef stew tasting like!